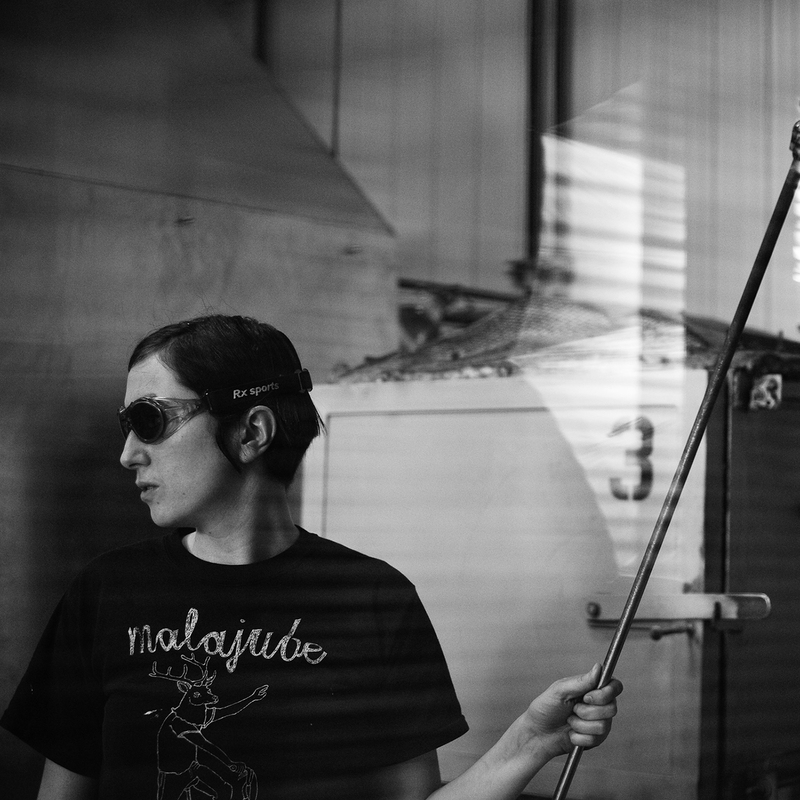 Watch live as Catherine Labonté unveils a new, never-before-seen glass animal during a guest artist demonstration in the Amphitheater Hot Shop on September 1 from 6 to 8 pm. Known for her curiously cute and thoroughly whimsical glass animal creations, Labonté will be hosting Adopt-a-Glass-Pet Day in the Museum Shops prior to her guest artist demonstration. Currently living and creating in Montréal, Canada, Labonté says she hopes that the objects and characters she creates bring humor and surprise to those who see them. The cartoonish glass animals Catherine Labonté creates are always a technical challenge, but she hopes the objects will evoke laughter and wonder in the viewer. What started out as sketches of Garfield from newspaper comics during her youth soon developed into Labonté‘s own feline creations. Wanting to breathe life into her cartoon drawings, she took up glassworking.